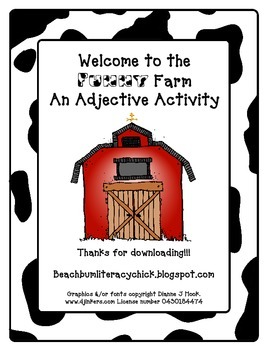 This is a fun differentiated adjective activity. 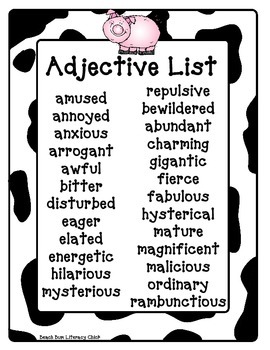 In this file you will find task cards where students must use context clues to pick the adjective that best describes the noun. There are 2 sets of task cards, a lower level and a higher level. 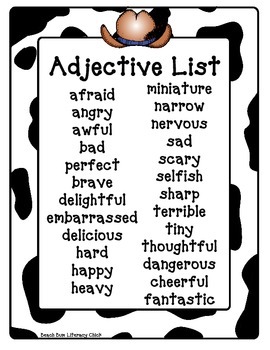 There is also a adjective word list and a poster expressing the meaning of an adjective. 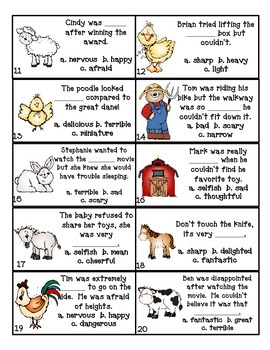 For both sets of cards students must identify the correct adjective, the noun it is describing, as well as the clues that helped them identify the answer. The second activity is a game for up to 4 players. The student picks a card which has one of the adjectives written on it. If they use it in a sentence correctly they are able to color in a letter on their score card. If they already have that letter they get to SKIP another player. First player to color in all the letters wins. This game uses the same adjectives as the task cards and is differentiated.